Japanese cuisine offers a great variety of dishes and regional specialties. Some of the most popular Japanese and Japanized dishes are listed below. They are categorized below into rice dishes, seafood dishes, noodle dishes, nabe dishes, meat dishes, soya bean dishes, yoshoku dishes and other dishes. Please note that some dishes may fit into multiple categories, but are listed only once. For over 2000 years, rice has been the most important food in Japanese cuisine. Despite changes in eating patterns over the last few decades and slowly decreasing rice consumption in recent years, rice remains one of the most important ingredients in Japan today. A bowl of plain cooked rice is served with most Japanese meals. For breakfast, it is sometimes mixed with a raw egg and soya sauce (tamago kake gohan) or enjoyed with natto or other toppings. Sushi may refer to any dish that contains sushi rice, cooked white rice flavored with seasoned rice vinegar. There are various kinds of sushi dishes, such as nigirizushi (hand formed sushi), makizushi (rolled sushi), and chirashi (sushi rice topped with raw fish). Sushi is the most famous Japanese dish outside of Japan, and one of the most popular dishes among the Japanese themselves. Donburi refers to a bowl of plain cooked rice with some other food on top of it.Donburi are served at specialty restaurants, but they are also a common dish that can be found on all kinds of restaurants' menus. Some of the most popular varieties are gyudon (stewed beef), katsudon (tonkatsu), tendon (tempura), oyakodon (chicken and egg), tekkadon (maguro), and kaisendon (raw seafood). Rice balls, or Onigiri, are made of cooked rice and are usually wrapped in noriseaweed. They are usually lightly seasoned with salt and often contain a filling such as umeboshi (pickled Japanese plum), okaka (dried bonito shavings and konbu), or salmon. Rice balls are a popular and inexpensive portable snack available at convenience stores, but are also commonly served at general restaurants and izakaya. Kare Raisu (Curry Rice) is cooked rice with a Japanese curry sauce. It can be served with additional toppings such as tonkatsu. Curry is not a native Japanese spice, but has been used in Japan for over a century. Kare Raisu is a very popular dish, and many inexpensive Kare Raisu restaurants can be found especially in and around train stations. 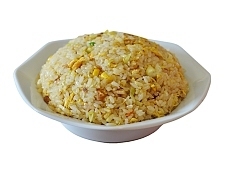 Fried rice, or chahan, is a dish that was originally introduced from China. There are an infinite variety of ingredients that can be added to fried rice. Some common ones are peas, egg, green onions (negi), carrots and pork. Chahan is a suitable dish for using left over rice. Chazuke, or ochazuke, is another simple comfort food consisting of hot water, tea, or light fish stock poured over rice (sometimes made with leftover rice). Chazuke is often garnished with toppings such as umeboshi, grilled salmon, or pickles. Chazuke is commonly served at izakaya, and is a popular dish to eat after drinking. Kayu, or okayu, is Japanese rice porridge made by slow cooking rice in lots of water. 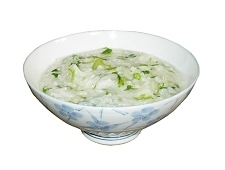 It tends to be thicker than other types of rice porridge or gruel, and is a suitable dish for using left over rice. Kayu is often garnished with umeboshi, and is commonly served to sick people because it is easily digestible. Hundreds of different fish, shellfish and other seafood from the oceans, seas, lakes and rivers are used in the Japanese cuisine. They are prepared and eaten in many different ways, such as raw, dried, boiled, grilled, deep fried or steamed. Sashimi is raw seafood. 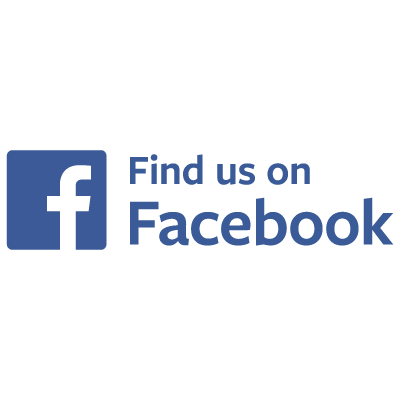 A large number of fish can be enjoyed raw if they are fresh and prepared correctly. Most types of sashimi are enjoyed with soy sauceand wasabi. Yakizakana means grilled fish. Many varieties of fish are enjoyed in this way, including mackerel (saba), salmon (sake), mackerel pike (sanma), horse mackerel (aji), Okhotsk atka mackerel (hokke), sea bream (tai) and sweetfish (ayu). There are various traditional Japanese noodle dishes as well as some dishes which were introduced to Japan and subsequently Japanized. Noodle dishes are very popular in Japan, and are served both hot and cold depending on the season. Noodle restaurants and food stands are ubiquitous, and it is common to find noodle stands along train platforms. Soba are native Japanese noodles made of buckwheat flour or a mixture of buckwheat and wheat flour. Soba are about as thick as spaghetti, and are served either hot or cold and with various toppings. Udon are Japanese noodles made of wheat flour. Udon are thicker than soba and are also served either hot or cold and with various toppings such as fried tofu (kitsune udon), tempura (tempura udon), and mountain vegetables (sansai udon). Ramen is Chinese style noodles prepared in a soup with various toppings. Ramen is one of the many popular dishes that were originally introduced from China but have become completely Japanized over time. Like Udon noodles, somen are Japanese noodles made of wheat flour, but they are much thinner than Udon and Soba. Somen are usually eaten cold and are considered a summer speciality. Yakisoba are grilled or fried Chinese style noodles mixed with pieces of meat, cabbage, carrots, or other vegetables, and garnished with red ginger. It is a popular festival food. A nabe dish prepared with various fish cakes, daikon, boiled eggs, konyaku andkombu seaweed, slow simmered in a soy sauce based soup. Oden is a popular dish available at convenience stores in the winter. A nabe dish prepared with thinly sliced meat, vegetables, mushrooms, tofu and shirataki (konyaku noodles) simmered in a sweet soy sauce broth. The pieces of food are dipped into raw beaten egg before being eaten. Shabu shabu is Japanese style meat hot pot where pieces of thinly sliced meat, seafood, vegetables, mushrooms and tofu, are cooked by dipping them into a hot soup. The bite sized pieces are then dipped into a ponzu citrus or sesame sauce before being eaten. Chanko nabe is the traditional staple diet of sumo wrestlers. There are many varieties of chanko nabe, which can be tried at one of the several specialty chanko nabe restaurants found around Ryogoku, the sumo district in Tokyo. Meat has been eaten in Japan in larger amounts only since the second half of the 19th century. Nowadays there are a variety of popular Japanese meat dishes. Yakitori are skewered grilled chicken pieces seasoned with salt or sauce. Almost every part of the chicken is used for yakitori including the white and dark meat, gizzards, skin, and other organs. Tonkatsu are deep fried pork cutlets. Tonkatsu is usually served accompanied by shredded cabbage or on top of cooked rice (katsudon). It is also a common addition to Japanese style curry rice (katsu kare). Yakiniku literally means "grilled meat" and refers to grilling bite-size pieces of meat - mostly beef and pork - on a grill at the table. Specialized yakiniku restaurants are among the most popular restaurant types in Japan and usually serve a wide variety of meat parts at multiple quality (and cost) levels. Nikujaga is a popular dish of home style cooking made of sweet stewed meat (niku) and potatoes (jagaimo). Meat, seafood and vegetables are prepared on a large iron griddle (teppan) around which the diners are seated. The chef artfully prepares the dishes in front of his customers. Hiyayakko is fresh chilled tofu (usually soft tofu) commonly garnished with grated ginger, katsuobushi (shaved bonito flakes), and green onions and seasoned with soy sauce. Diners should pour a little soy sauce over the tofu before eating it if it did not come already seasoned. Yudofu are tofu pieces boiled in a clear, mild soup and dipped into soy sauce or ponzu (citrus sauce) before being eaten. Yudofu is a specialty of Kyoto and commonly served during the colder winter months. Agedashidofu is made of lightly breaded tofu which is fried and served hot in a dashi soy sauce broth and commonly garnished with green onions or grated daikon. Agedashidofu can be found in a variety of restaurants and is common izakaya food. Miso soup is made by dissolving miso paste in dish stock (dashi). Common additions include wakame seaweed, small pieces of tofu, and sliced aburaage, etc. Korokke has its origins in the croquettes which were introduced to Japan in the 19th century. Korokke consist of a filling that is breaded and deep fried, and are eaten with a worcestershire tonkatsu sauce and shredded cabbage. They come in many varieties depending on the filling, the most common of which is a mix of minced meat and mashed potatoes. Omuraisu, short for omelete rice, is fried rice wrapped in a thin egg omelete. Omuraisu is usually shaped like an American football and may be garnished with ketchup or demi-glace sauce. It is a common diner or cafe food, although specialty omuraisu restaurants also exist. Hayashi rice is Japanese style hashed beef stew, thinly sliced beef and onions in a demi-glace sauce served over or along side cooked rice. It resembles kare raisu, and, like kare raisu, is also eaten with a spoon. Hambagu is Japanese style hamburger steak (as opposed to hambaga, which are hamburgers in a bun). Hambagu is usually served on a plate along side vegetables and rice or bread, and seasoned with a demi-glace sauce. Bento, or boxed meals, are inexpensive, single portion take out meals served in a box. They usually consist of small portions of meat, vegetables, fish, or pickles together with rice. Bento come in both hot and cold varieties and are sold at specialty restaurants, supermarkets, and convenience stores, and are a favorite item at train stations (ekiben) and airports (soraben). Tempura consists of seafood, vegetables, mushrooms, or meat coated with batter and deep fried. The resulting food has a light, but crispy texture, that may be seasoned with salt or dipped in a light sauce before eating. Tempura was introduced to Japan by the Portuguese in the 16th century, and has become one of Japan's most famous dishes internationally. Okonomiyaki is a type of pancake where various ingredients such as seafood,vegetables and meat are mixed into a batter and grilled. Okonomiyaki specialty restaurants have a large hotplate built into the table where the patrons cook their own food. Monjayaki is a Kanto region specialty that is similar to okonomiyaki; however, the batter used is much thinner than okonomiyaki resulting in a moister, less uniform dish. Monjayaki is often served at okonomiyaki restaurants. Gyoza are dumplings stuffed with a filling made of minced vegetables and ground meat. Gyoza were introduced to Japan from China. Japanese gyoza are usually prepared by frying them, and they are commonly served as a side dish to ramen. Chawanmushi is savory steamed egg custard that usually contains pieces of chicken, shrimp, fish cake and a ginko nut mixed inside. It is served in a small, lidded cup, and eaten with a spoon. Japanese pickles, or tsukemono, come in many varieties, and are served as an appetizer, side dish, or snack, or used as a garnish or topping. 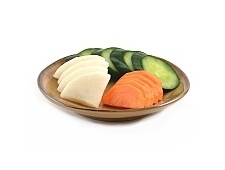 They are though to aid in digestion, and a small dish of pickles is usually served with traditional Japanese meals.